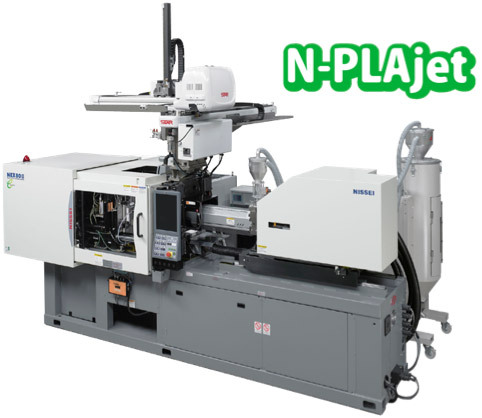 Environment Policy and Effort｜Corporate Information｜NISSEI PLASTIC INDUSTRIAL CO., LTD.
At NISSEI PLASTIC INDUSTRIAL CO., LTD. we make every effort to save energy and resources, prevent pollutions, and implement eco-friendly measures actively to work in harmony with Nature. 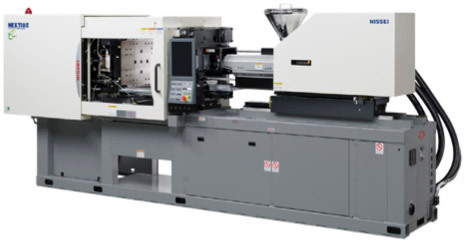 At NISSEI PLASTIC INDUSTRIAL CO., LTD. we identify how development, design, production, sales of injection molding machines and its related peripherals as well as our products and service will affect our environment. As a group, we will make every effort to reduce environmental load from local to global levels in order to live in harmony with Nature. 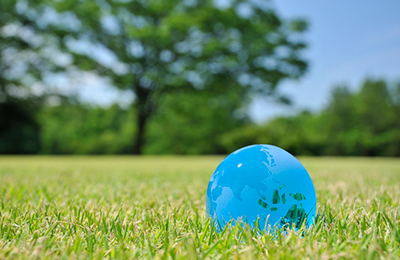 １．In order to live up to our environmental philosophy, we implemented an environment management system. We engage in activities to take our eco-friendly measures further and continuously review its effectiveness of the system. ２．We aim to execute the system effectively in order to achieve the environmental protection goals we have set. 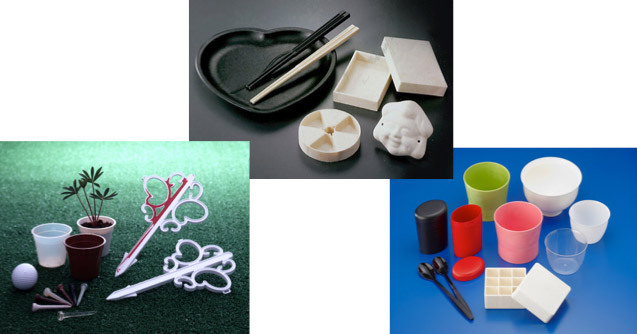 ３．We aim to reduce environmental load by effectively recycling and saving resources and time required for plastic processing. ４．We reduce environment pollutants and prevent pollutions. ５．We comply with the environment-related laws, regulations, and agreements. ７．We contribute to local communities. If it is requested, we share our information. NISSEI has been making every effort to save energy and resources, prevent pollutions, and actively pursue environment-conscious manufacturing to work in harmony with Nature. In March 2007, solar panels were installed as a part of the “New Solar Power Technology Field Project,” which is a collaborative research project with NEDO. 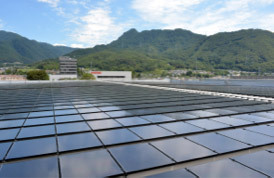 ◎280 solar panels were installed on the roof of Molding Technology Center. ◎Power generation capacity is 50kW, power generation amount of 57,500kWh annually. ◆	It generates about 15% of power required in main office building. ◆ Environment load reduction effect is 26ton/year of CO2 reduction (coefficient by Chubu Electric Power). In August 2013, power generation equipment was installed in accordance with “Feed-in Tariff Scheme for Renewable Energy” by Japan government. 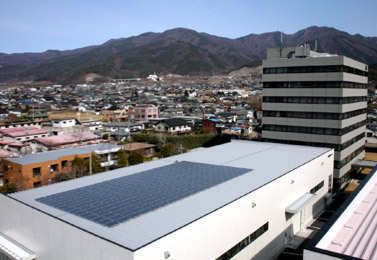 ◎	3,520 solar panels were installed on the roof of the 7th and 8th factories. ◎	Power generation capacity is 500kW, power generation amount of 605,000kWh annually. ◆ It is equivalent to the annual power consumption of 180 homes. ◆ Environment load reduction effect is 275ton/year of CO2 reduction (coefficient by Chubu Electric Power). As a part of global warming prevention (CO2 reduction), we are encouraging our employees to avoid commuting by car. ◎	About 10% of employees, 52 out of 400, are signed up for and participating in “No Car Commute” program. ◆	Environment load reduction effect is 3,652ton/year of CO2 reduction. 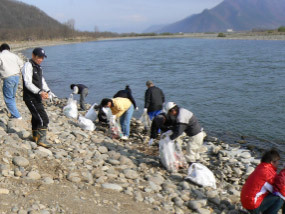 We have been working together with the local communities and participating in environment conservation activities as a member of Nagano Association for Conserving Environment. We have succeeded in reducing power consumption, etc. 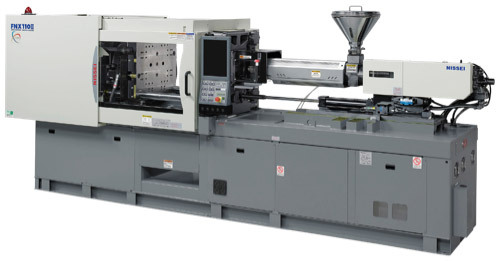 We propose a low-pressure molding system that reduces molding defects and a recycle molding system that uses re-pelletized materials.